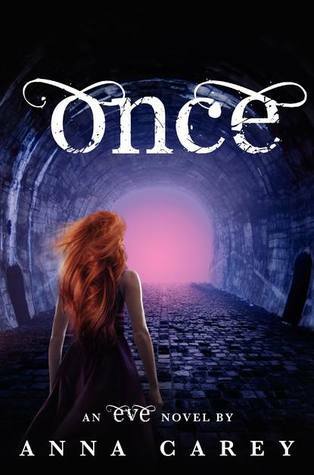 The giveaway runs from today until Thursday 24th January 2013 and it is a chance for you to win a hardcover copy of ONCE (Book 2 in the Eve Trilogy) by Anna Carey (US edition). The giveaway is international. If you follow my blog by email or WordPress , if you are a Twitter follower , if you like my page on Facebook or if you tweet about the giveaway, this will grant you an extra entry. Mention it below. This week again I was lucky enough to have a YA author give me an exclusive interview! The idea behind the “Writer in the Spotlight” feature is that published (and bestselling) authors are the best source of advice for us, would-be-published writers. Today’s interview is with the amazing Anna Carey. Between her busy schedule and emails lost in spam folders, there were times when I thought I would never get this interview, but Anna was SUPER kind and I’m very happy that you can read her answers to my questions today! Bio: Anna Carey has been a gift wrapper, face painter, nanny, horrific cocktail waitress, sofa saleswoman and children’s book editor. She graduated from New York University and has an MFA in fiction from Brooklyn College. She currently lives in Los Angeles, where she can be found writing, reading, and doodling on the giant chalkboard in her kitchen. I always knew I wanted to be a writer, though it took me nearly a decade to say those words out loud. Growing up I didn’t know any authors, had never been to a book talk or had a writer visit my school. That life seemed like an impossible dream. As much as I try to keep a set schedule, this changes from book to book. My preference is to write at home, on my couch, in yoga pants. It usually takes me eight hours to get five solid hours of work done. I’ve gone through periods where things are different, where I work predominantly in coffee shops or only at night, but the eight hour rule has always proved true. First off, read as much as you can. You learn so much about characters, story, and plot just from reading well crafted books. We’re lucky that there are so many books on writing out there (On Writing by Stephen King, The Faith of a Writer by Joyce Carol Oates, Burning Down the House by Charles Baxter). Add these to your reading list. Secondly, write as much as you can and finish whatever you start. Strangely, this is the hardest part. Try not to get discouraged by unwieldy first drafts. Try not to judge. Once you finish there will be time to cut, add, rewrite and perfect. Until then…it’s impossible to revise a blank page. Lastly: Find a few readers you trust. Share your work and learn how to listen to criticism. A useful comment feels like an arrow hitting it’s mark. To write these books, where did you get your inspiration from? 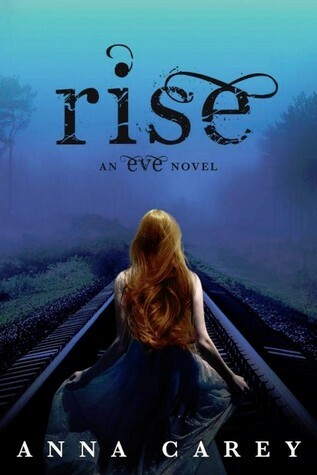 Were you aware of the coming dystopian trend in YA literature when you wrote “Eve”? Eve started with a question: What happens when you discover everything you learned is a lie? Would you have the courage to relearn your life? Publishing is a slow industry. It can take over a year (sometimes two) for a book to go from finished manuscript to published work. That said, once you’re aware of a trend it’s generally too late to write with it. I’m like most of the authors who are writing dystopian now. When I started Eve dystopian wasn’t a huge trend. The first book of The Hunger Games was out, but it wasn’t what it is now. I wrote the story I was interested in, and fortunately the timing was right. I just read The Marbury Lens by Andrew Smith, which is creepy and magnificent. If I Stay by Gayle Forman is one of my favorite YA reads, my go-to “if you haven’t read this READ THIS”. Right now I’m on a bit of a Gillian Flynn kick. I finished Gone Girl and am now reading Sharp Objects, one of her earlier books. Thanks, Anna, for an awesome interview! Anna’s books are available from Amazon here. 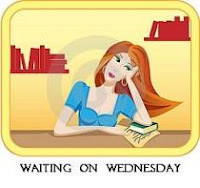 This week I’m waiting on RISE (EVE #3) by Anna Carey (expected publication: April 2nd 2013 by HarperCollins). This is YA Dystopian novel and the third book in the Eve Trilogy. Since I don’t want to spoil the first two books for you if you haven’t read them, I’m only including here the blurb for the first book. “The year is 2032, sixteen years after a deadly virus—and the vaccine intended to protect against it—wiped out most of the earth’s population. The night before eighteen-year-old Eve’s graduation from her all-girls school she discovers what really happens to new graduates, and the horrifying fate that awaits her. Today I have chosen Once by Anna Carey (Expected publication: July 3rd 2012 by Harper Collins). It is the second book in the Eve trilogy. 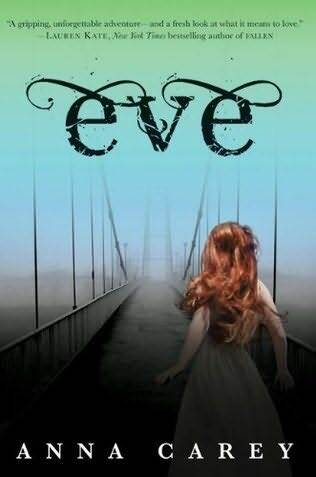 I loved Eve, a fast-paced YA dystopian novel with an enjoyable plot and great characters…and I can’t wait for the second installment in the series! “Sixteen years have passed since a deadly virus wiped out most of the Earth’s population. After learning of the terrifying part she and her classmates were fated to play in the rebuilding of New America, eighteen-year-old Eve fled to the wilds and Califia, a haven for women determined to live outside the oppressive rule of the king of New America. However, her freedom came at a price: she was forced to leave Caleb, the boy she loves, wounded and alone at the city gates. Eve quickly learns that Califia may not be as safe as it seems and soon finds herself in the City of Sand and the palace of the king. There she uncovers the real reason he was so intent on her capture, and the unbelievable role he intends her to fill. When she is finally reunited with Caleb, they will enact a plan as daring as it is dangerous. But will Eve once again risk everything—her freedom, her life—for love?